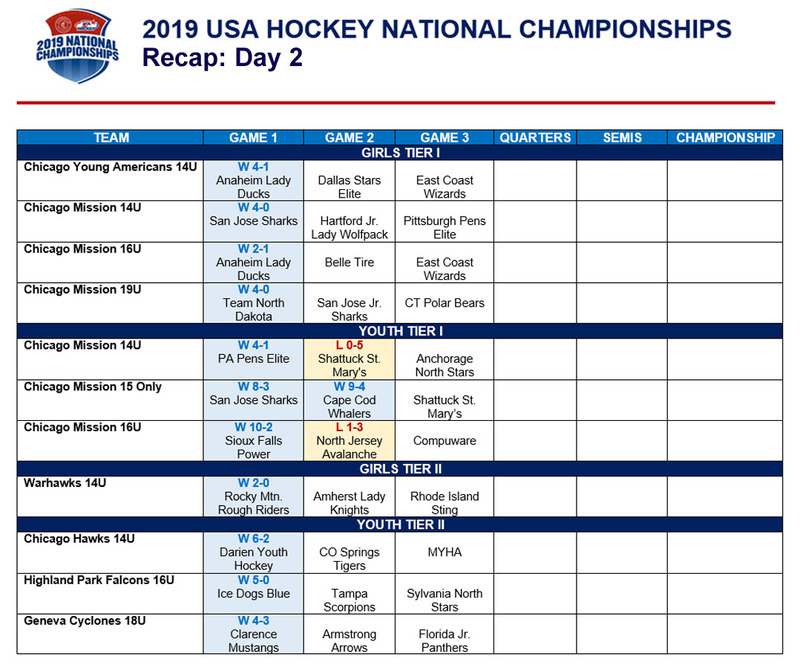 Below is a wrap-up of the scores from the 2nd day of the 2019 Chipotle-USA Hockey National Championships. Illinois teams had an outstanding day with 9 wins and 2 losses. Great job, Teams!